Thus we are first acquainted with that beautiful mail tunic that saved the lives of both Bilbo and later, Frodo. Because of its qualities, Stansborough’s Mythral is named after the essence of mithril, and I can see why. 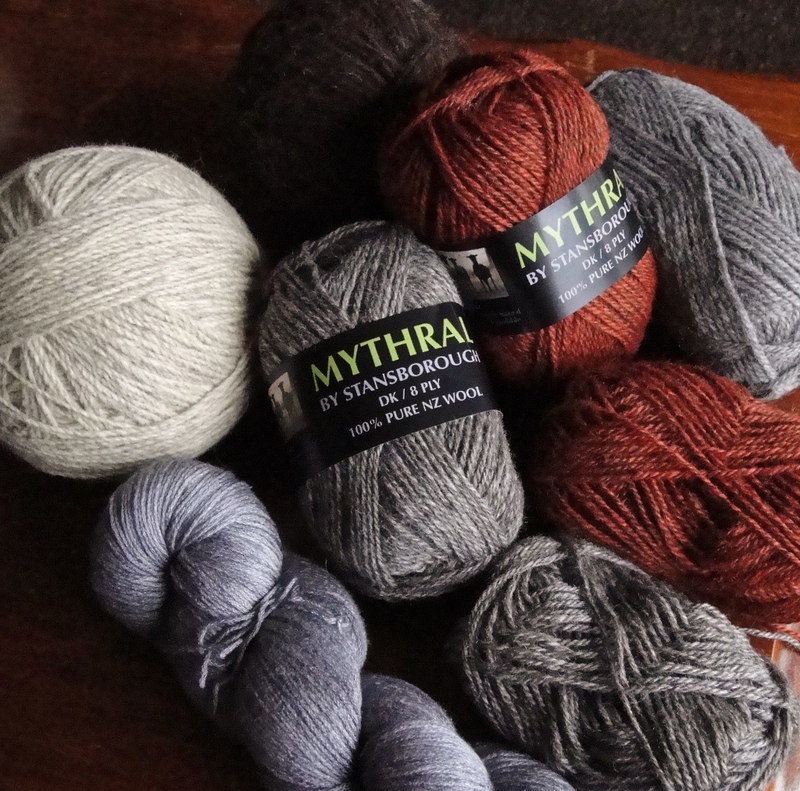 I was knitting with Stansborough Mythral today, and greatly admiring the glimmer and gleam of the yarn and wondering how I could illustrate this quality to my readers. I decided that it might work if I took a picture of it next to other yarn, to show just how glittery it is. 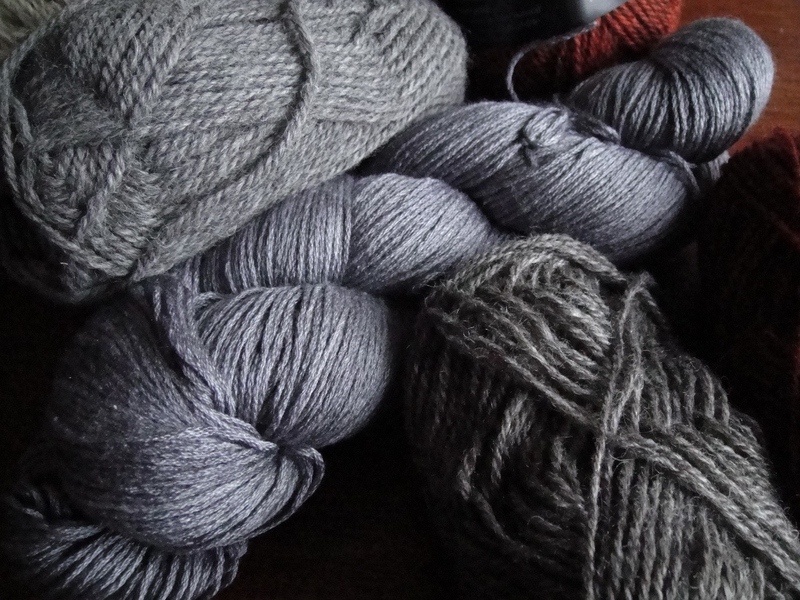 In the photo below you can see from left, an 80% alpaca/20% merino yarn; a 50/50 merino silk blend, and finally, Mythral 100% Stansborough Grey wool. I have not altered this image, it was taken in daylight, on a foggy, rainy day. Yet, can you see how the Mythral outshines even the silk in the skein next to it? Here’s another picture, showing a pure Corriedale wool next to the Mythral along with the alpaca and silk/merino blends. I think it’s a rather appropriate name, don’t you? 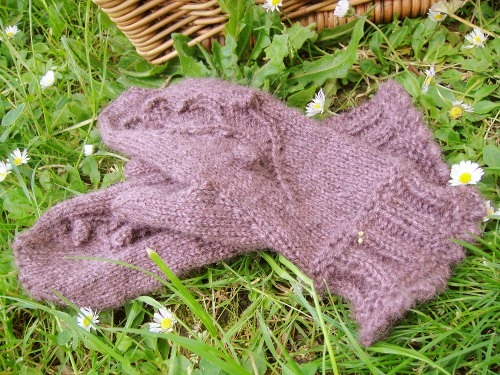 Categories: Stansborough, Wool, yarn | Tags: jrr tolkien, Knitting, Mythral, New Zealand wool, Stansborough, Wool | Permalink. Today, I have the very immense pleasure of sharing with you that the new batch of Stansborough Mythral has finally arrived!!!! You can imagine I was dying to get home and play with these! 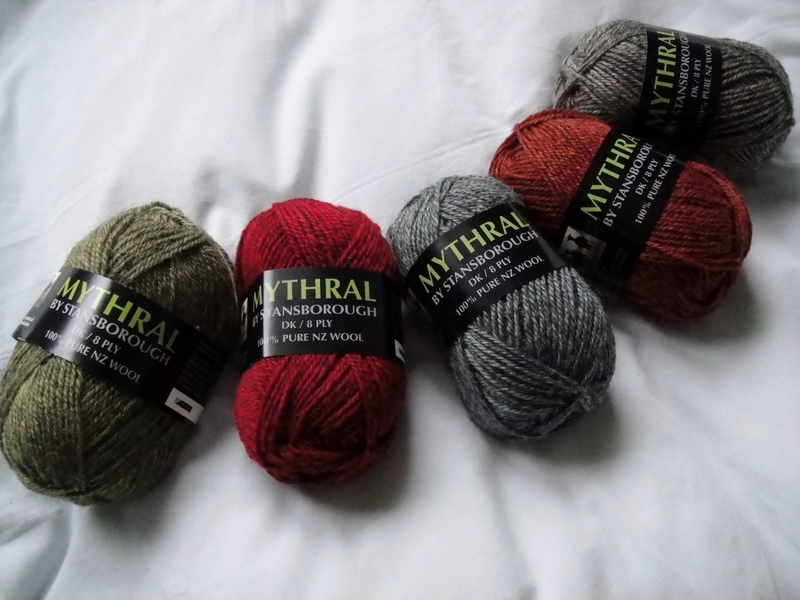 If you’ve missed my posts about Stansborough’s Mythral in the past, I’ll just quickly introduce this unique and beautiful yarn. It’s the wool that was made famous by those fantastic elven cloaks in Lord of the Rings. 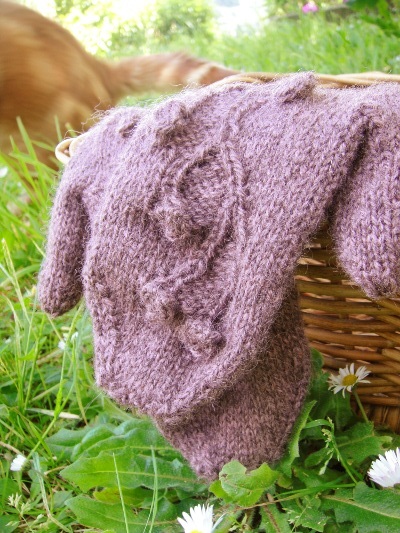 Subsequently, knitter demand convinced the Eldridges (who own and breed the unique sheep behind this yarn, and who produce timelessly tasteful fabrics and accessories from the wool) to turn some of it into knitting yarn. The wool has also been used in costumes for the Hobbit movies, and in due course there will be more knitterly joy in that department to share with you when it can be talked about! Cheryl, the brains behind the designs and creative side of Stansborough, designed the colour to be overdyed on to the natural grey, turning something special into something even more special. It’s a naturally heathered effect, in very Middle Earth colours. This yarn was first released as Mythral two years ago, and knitter (and crocheter) awareness of this very special yarn has gradually been increasing since. Once you get over the fact that it is not your typical merino, you learn to appreciate its very special lustre, drape, resilience and unique look. It softens every time you wash it, and it’s a yarn that you can wear to death, and it will still look fabulous year after year. It is not scratchy. It just has a certain strength to the strand that most people are not used to in this day and age of super soft yarn. 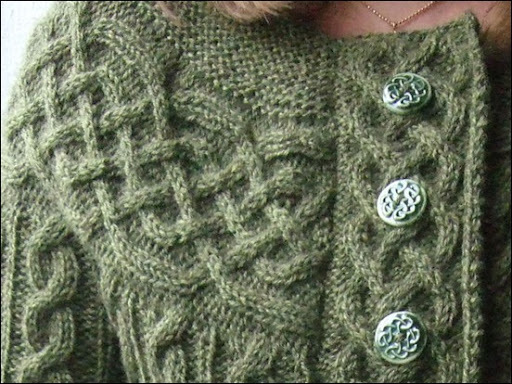 It means you can knit up cables that really ‘pop’, and use it in garments where you want flow and movement and the knowledge that your garment will not stretch out of shape. This second batch features a new colour: Raupo (the Maori word for bullrush). If you remember the funny bottle-brush shaped flower stem of the bullrush, you’ll immediately recognise the rusty orange brown in the above picture. So in the image above, from reader left, the Mythral colours this time are: Kakariki (Maori word for green and also the name of a very cute, rare native New Zealand parrot). Next to it is Rata, the rich, pretty red of the Rata tree flower. Then comes Takahe, a steel blue, my personal favourite. Takahe is the name of another very rare New Zealand bird that needs to be seen to be described! Then comes the luscious Raupo. Finally, there is the natural colour of the Stansborough Grey sheep, given the name Kokako, (another endangered New Zealand bird with soft grey plumage and bright blue wattles). Such scrumptious colours, I can already see colourwork and stripes in my future! If you want to know more about the namesakes of the colours for Mythral, have a look at the Department of Conservation’s website which has some very interesting information (and you can see nice pictures and even listen to the calls of the birds). Now to the very important stuff: how to get hold of some of this for yourself! If you cannot wait, and must have some NOW, I suggest you email Cheryl at info@stansborough.co.nz. The yarn will also be up on the website soon. If you are in Wellington, you can also call into Stansborough’s gallery at 22 Sydney St, Petone to pick it up in person, and I am sure that it will soon be available at Holland Road Yarn Store and other New Zealand stockists. Wholesale quantities will also be shortly winging their way to The Yarn Sisters (where you can order it through their Shopatron site) in the US and Lanamania in Europe. I’ve had a broad smile on my face all day – it’s wonderful to have this fantastic yarn available to knitters again! Categories: Knitting, Stansborough, Wool, yarn | Tags: Knitting, Mythral, New Zealand yarn, Stansborough, Wool, yarn | Permalink. Many of the lovely readers of this blog pop in from the USA. Judging from feedback in your comments, a lot of you would love to try some of the beautiful yarns I blog about. 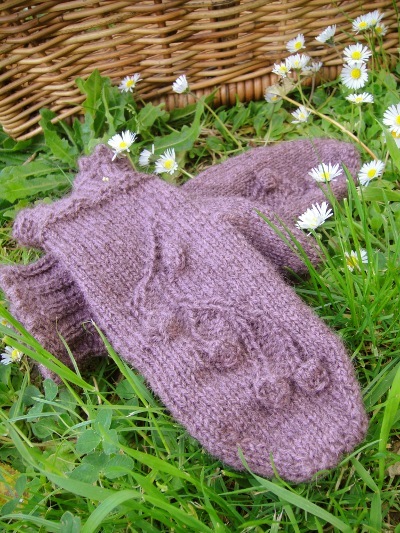 Well, if you are planning to attend Vogue Knitting Live in New York on January 14 – 16, your wishes have just come true! Look out for the Yarnsisters‘ booth (no. 2100) where there will be not only Zealana, but also Stansborough’s Mythral for you. Judging from the vendors list there is going to be a mind-stunning variety of suppliers to visit and spend your well-earned dollars with. I’m very envious. If you happen to be trade, and are going to the TNNA Winter Trade Show (Jan 21 – 23), look out for the Yarnsisters at booth no. 517. 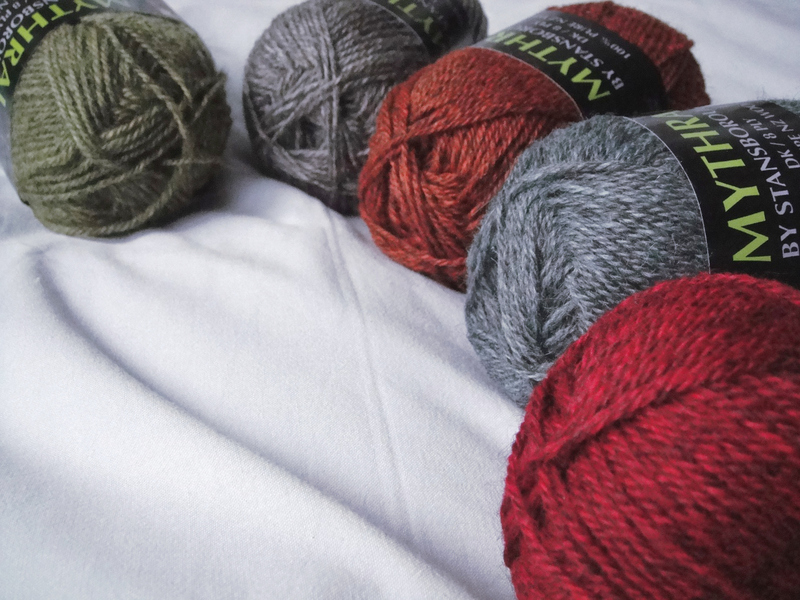 Hint to people keen to see these yarns in their LYS – ask your store owner to check out the booth! In the meantime, I’m looking forward to reading all about these event from afar. They sound like my idea of yarn heaven! 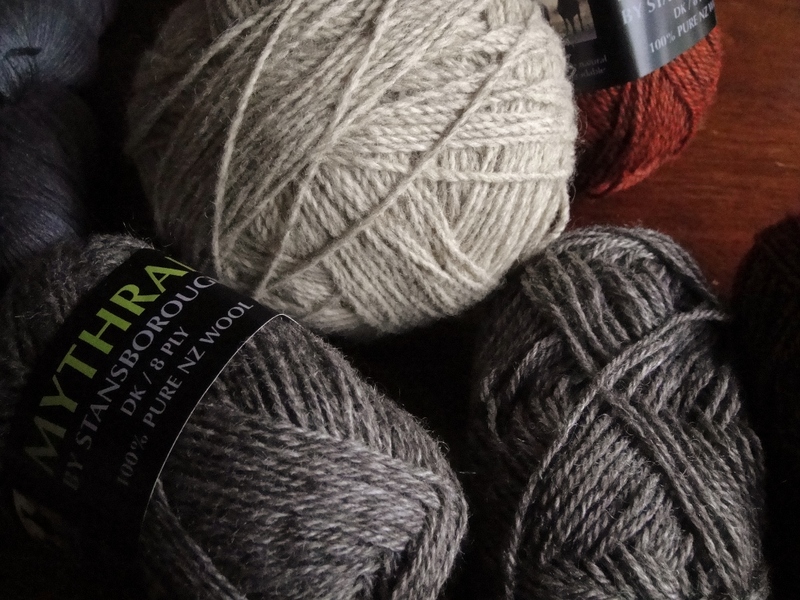 Categories: Knitting | Tags: Knitting, Mythral, New Zealand wool, New Zealand yarn, Stansborough, TNNA, VK Live, Vogue Knitting Live, Zealana | Permalink. 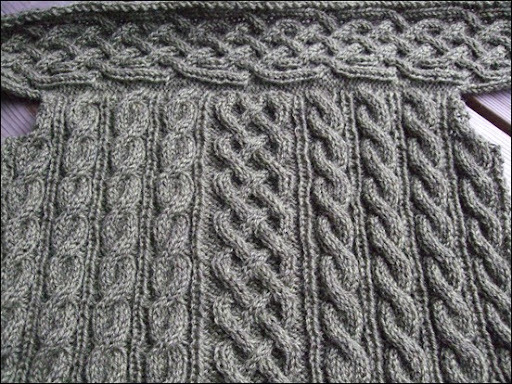 This gorgeous work of cables is knitted in Stansborough Mythral, in the Kakariki colour. I just love what she’s done! Please visit her blog here for more photos and details. Thank you Mia, for choosing to use Mythral. I hope you get many, many happy years of wear from your beautiful project. Categories: Finished Objects, Inspiration, Knitting, Stansborough, Wool, yarn | Tags: FO, inspiration, Knitting, Mythral, New Zealand wool, New Zealand yarn, Stansborough, Wool, yarn | Permalink. Wow!! Click on the link above to read more about what she thinks of the yarn. Categories: Knitting, Stansborough, Wool, yarn | Tags: Knitting, Mia, Mythral, New Zealand yarn, review, Stansborough, Wool, yarn | Permalink.